Winners of the 2016 Ontario Export Awards were announced at a gala event at the International Centre in Mississauga, Ont. on November 22. More than 200 manufacturing executives and representatives from trade, government and industry attended the event. The awards recognize leadership and exporting growth in diverse sectors of Ontario’s economy. Canada Goose was named Exporter of the Year for its growth in global markets and success with manufacturing in Canada. “We’re proud of our role in bringing Made-in-Canada jackets to the world and in exporting the brand of Canada on a global stage. It is an honour to win the Exporter of the Year Award and to be recognized as an industry innovator,” said Dani Reiss, Canada Goose President and CEO, following the awards. “The winner of the Exporter of the Year Award is deemed to be the ‘best of the best’ of the sector winners, recognizing the Ontario exporter who has excelled in international exports and made significant contributions to the development of the Ontario economy,” added Andrew Skinner, Head of Global Trade and Receivables Finance, HSBC Bank Canada, Platinum Sponsor of the Ontario Export Awards. Clean Technology: Silfab Solar Inc.
Food, Beverage, & Agriculture: Riverside Natural Foods Ltd.
Manufacturing & Resources (Small Manufacturer): Diagnostics Biochem Canada Inc.
Manufacturing & Resources (Medium Manufacturer): Nu-Tech Precision Metals Inc.
Manufacturing & Resources (Large Manufacturer): Polycorp Ltd. Emerging Exporter: NeoVentures Biotechnology Inc. Winners and finalists represent a wide range of Ontario’s economy, from food products to equestrian saddles to helicopter components. Regardless of their industry, the companies share an ability to overcome fierce competition outside of Canada to grow and expand in often complex markets. 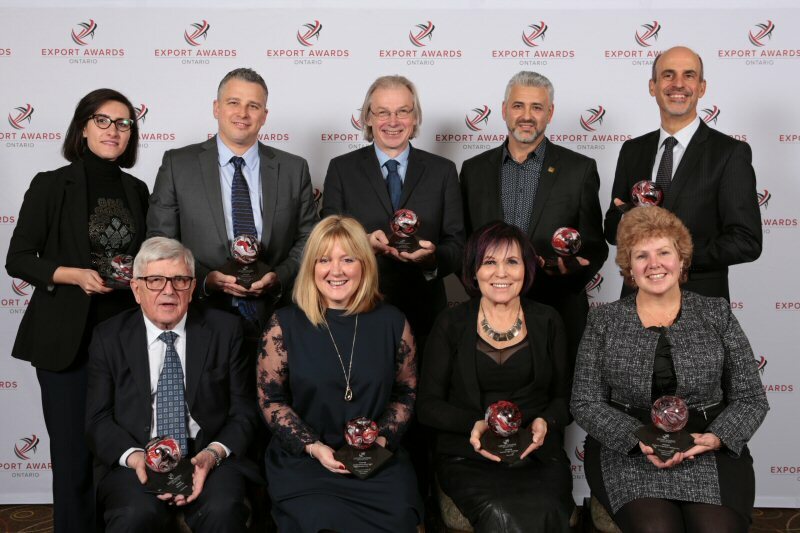 “We congratulate this year’s finalists and winners of the Ontario Export Awards for their achievement in excellence,” said James Moffatt, President of SYSPRO Canada, Platinum Sponsor of the awards. The Ontario Export Awards are organized by CanadianManufacturing.com, part of Annex Business Media, in partnership with Plant and through the support of HSBC Bank Canada (Platinum Sponsor), SYSPRO Canada (Platinum Sponsor), Grant Thornton LLP, Machines Italia/ Italian Trade Commission, UPS Canada, Export Development Canada (EDC), Invest Buffalo Niagara, Ministry of International Trade (Ontario); Turkish Airlines (Official Airline Partner) and association/ nominating partners: Excellence in Manufacturing Consortium (EMC), Canadian Manufacturers & Exporters (CME), Forum for International Trade Training (FITT), Canadian Food Exporters Association (CFEA), Supply Chain Management Association (SCMA), Win Global Partners and various media brands at Annex Business Media.